The Poggio Neri park consists of an extensive hill forest dominated by holm oak and chestnut, and offers many opportunities for open air leisure activities like trekking, excursions on horseback, mushroom picking, chestnut gathering, hunting and bicycle excursions. To promote the rediscovery of this fascinating area, the park has created well-signed trails for hiking, horse-riding and cycling. There are rest areas equipped for picnics, and ancient springs have been made accessible for drinking purposes. 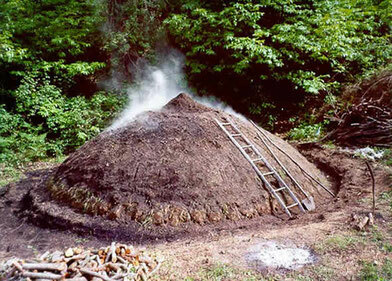 The difficult life of the charcoal burners can be experienced through a faithful reconstruction set up near an abandoned chestnut drying barn (The Museum of the Wood). In addition, a trail has been prepared for use by the disabled to give everyone access to this natural resource. Surrounded by chestnut and oak trees, the swimming pools at different temperatures of Sassetta Terme are supplied with thermal water from the slopes of the Val di Cornia. 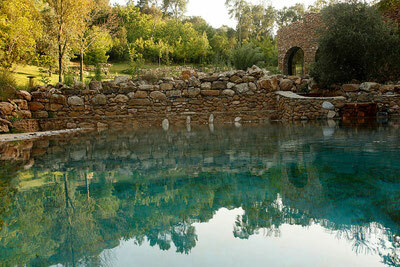 A unique place in Tuscany surrounded by the wild and hospitable nature of the hills of Maremma, in a "widespread welfare project." In the lush valley of Pian Delle Vigne structure that houses the spa is inspired by the architectural tradition of Etruscan and Roman Baths, as a building unearthed from the past that nature has absorbed and incorporated. The thermal water of Sassetta Spa, sulfate, calcium, minerals and trace elements, precious, born naturally from the earth at a temperature of 49.6 ° C and with an average flow rate of 200 liters / min is fed into the thermal structure. The Botanical Path is the trekking route 102. 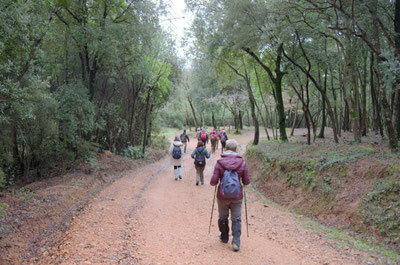 The course, for much of the tract, is accessible to people with physical disabilities and is dotted with educational tables to learn about the forest and its inhabitants. Accessible path has a length of 500 meters, while the total route winds around the ring that surrounds the Monte Bufalaio for nearly 2 km. An instructive and fascinating itinerary, with a viewpoint of effect on the country and a disused quarry which, in previous years, took out the well-known marble of Sassetta Red. Departure: Location Bufalaio, about 1.5 km along the provincial Sassetta-Suvereto. In the park there are picnic areas for picnics in Casetta Fiorentina, a place at the exit of the village of Sassetta, towards Prata -Suvereto. The Sculpture Garden is a path made by the sculptor Guido Messer and his wife Ruth Marta at the foot of our picturesque medieval village, a special place where the sculpture, the woods, the pond and the biological cultivations give life to an oasis of art and nature. 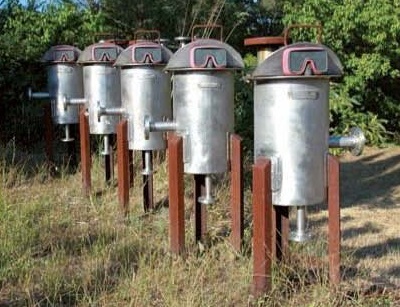 Along the way you will discover the works of the sculptor Guido Messer and other artists who are exhibiting in Sassetta. The sculptor Guido Messer was born in Buenos Aires in 1941. After studying architecture at the Stuttgart Academy, he has dedicated himself to sculpture and his works are currently on display in several permanent exhibitions in museums, private collections and public places in Germany and other countries of Europe and overseas.